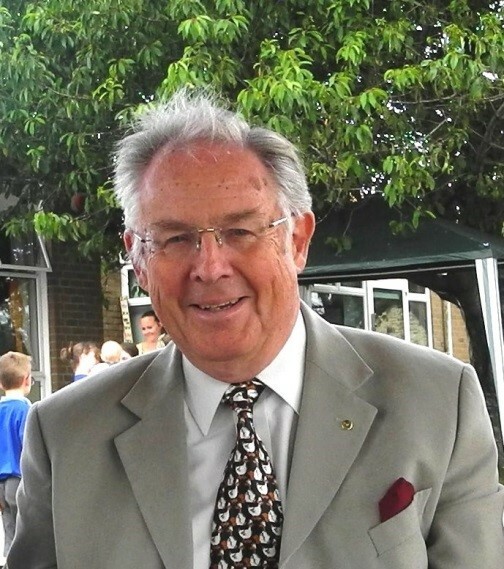 Michael Peart Past President of the Rotary Club of Sherborne Castles is terminally ill in St. Margaret’s Hospice, Yeovil. Before retirement Michael was the first British Ambassador to Lithuania following the break-up of the Soviet Union. During his time as Ambassador Michael forged strong personal links in Lithuania which have continued throughout his retirement years. Amongst his enduring connections is the St Francis Cancer Support Centre in Klaipedia of which Michael is a Patron. On 17th May the centre will be holding their annual 10K Hope Run which is one of their principal fundraising events. In talking to Michael his son Christopher has undertaken to take part in the event this year in his memory. Christopher hopes to raise as much money as possible for the centre so others can receive the same sort of care and support as his father has received in St Margaret’s. The Rotary Club of Sherborne Castles is supporting Christopher Peart and has set up an account with Rotary Charity Fundraisers. As a result Gift Aid can be claimed on all qualifying donations. Please take a moment, use this link and read Christopher’s story. Hopefully you will be moved to donate to this cause in memory of a very special Rotarian.